Dog Eats 23 .308 Rounds! I’ve fallen in love with Elzetta Design’s lights in the past few years. I even hesitate to call them “flashlights” because that sounds so cheap compared to the quality that these lights boast. “Handheld tactical illumination devices” seems more like it. These by far, are the most robust lights in the industry. 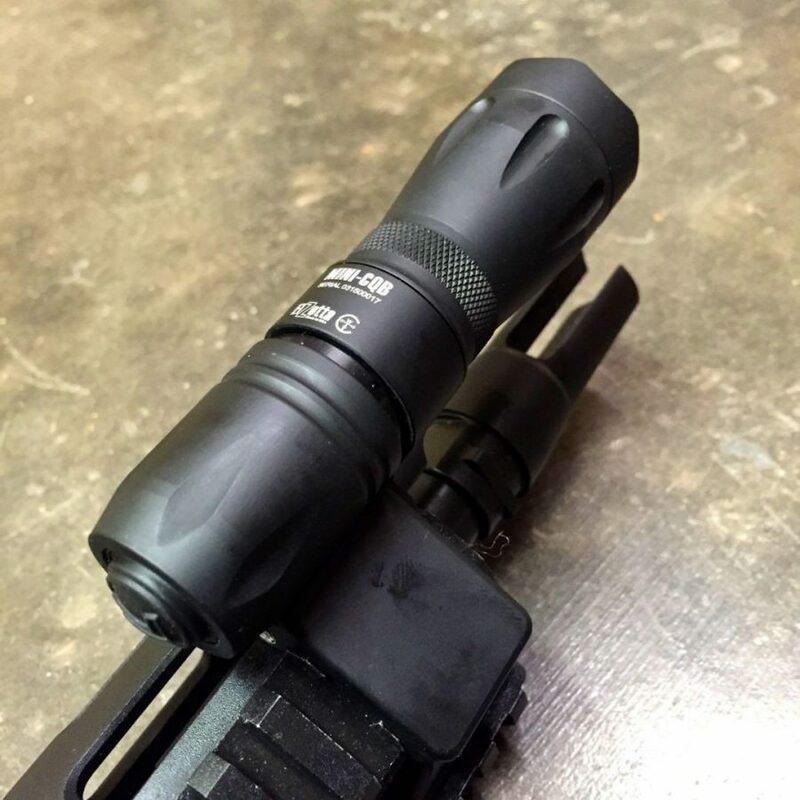 Boasting of CNC milled aircraft grade aluminum body, potted electronics, Malkoff and Auto Voltage Sensing illumination heads, and a completely modular design truly makes these the most rugged lights on the planet. I have one of each model, the 900 lumen Charlie model is mounted on my “hog rifle”, the 2 cell Bravo in my bag, and the smaller 315 lumen Alpha stays in my pocket 24/7, and now I’m happy to announce the newest Mini CQB integrated weapons mount is shipping soon. The Alpha is quite handy and looks slick on a SBR, so the Mini-CQB is an excellent choice for a compact rifle light. The integrated weapon mount looks nearly seamless, but the ingenuity of the modular mount is what impresses me the most. The Mini-CQB is capable of mounting to Picatinny Rails, Keymod, and even Magpul MLOK slots. 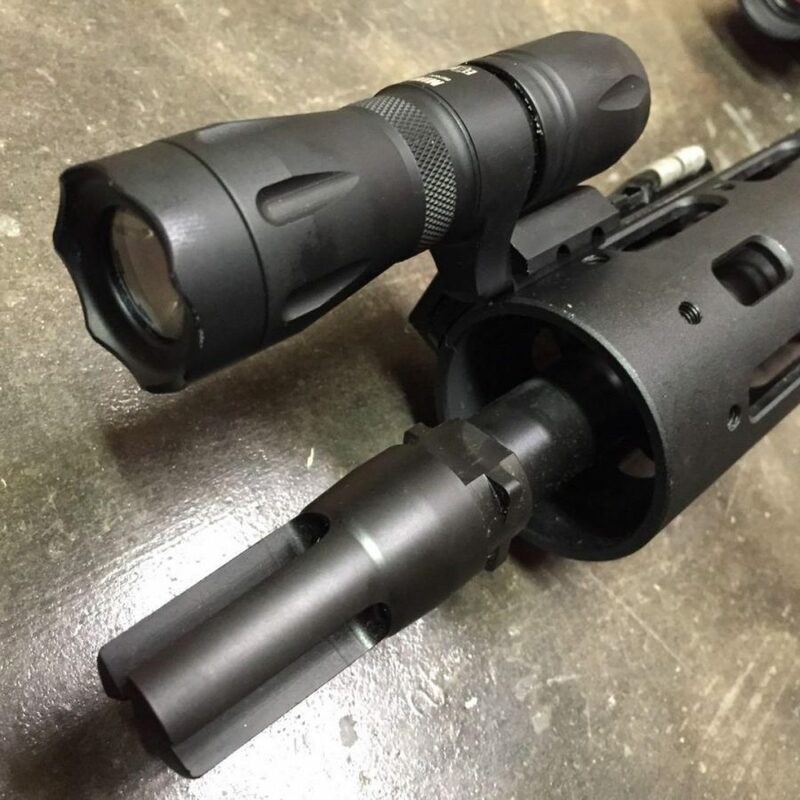 The Mini-CQB will also accept all the Alpha tailcaps and tapeswitches. If you need a battle ready, compact, bombproof light, you can’t go wrong with Elzetta. Here I demonstrated the robustness of my personalized Charlie light by dropping it out of a helicopter 300′ onto concrete. It broke the concrete. The light is just fine and still serves me on my shotgun.